Make a Change for the Earth! Founded in 1970 Earth Day is the world’s largest environmental movement. Today, more than 1 billion people in 192 countries take part in the movement. 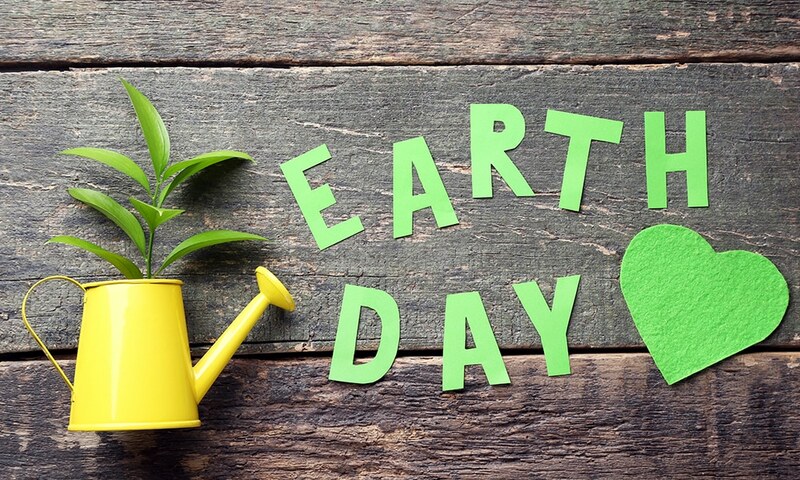 Behind the day is Earth Day Network, an association that tirelessly works to solve climate change, reduce plastic pollution, help protect endangered species, and to generally inform and educate people across the world. Earth Day 2019 theme is Protect Our Species. Human activity causes several things which endanger wildlife: climate change, deforestation, unsustainable agriculture, pollution and using pesticides. Earth Day 2018 and beyond was to end Plastic Pollution. Lots of plastic still ends up in our oceans, pollutes the seas and kills marine life. Properly recycling helps protect animals from ingesting it. Reduce your plastic intake, like using a metal or glass gourd for water rather than a plastic one. Eating meat has a significant impact on the environment, including polluting our landscapes and waterways. Methane released into the atmosphere from cows and fertilizer causes as much harmful greenhouse gases as all our cars and planes combined! Making an effort to eat less meat helps combat this. Not only is it better for your health, but the remnants of toxic substances can make it into our waterways and wetlands, destroying marine life. Help support causes like Earth Hour by turning off lights when you’re not in the room. Unplug electronics like phone chargers and televisions that use up power even when they’re not “on”. Local fruit and veg from local farmers’ markets won’t have traveled too far, use less plastic packaging, and is pesticide-free. Make sure your windows and ceilings are well-insulated. Look into whether eco-friendly alternatives like solar panels or rainwater catchments are an option for your home. Use 30° for washing machines and stop using energy-eating tumble driers. A tree in your garden, or a herb bush on your balcony… planting something will brighten your everyday and help our atmosphere. Carpooling or switch to an electric substitute to help protect the Earth’s atmosphere. Increasing the amount of recycled plastic in our packaging is a top priority. 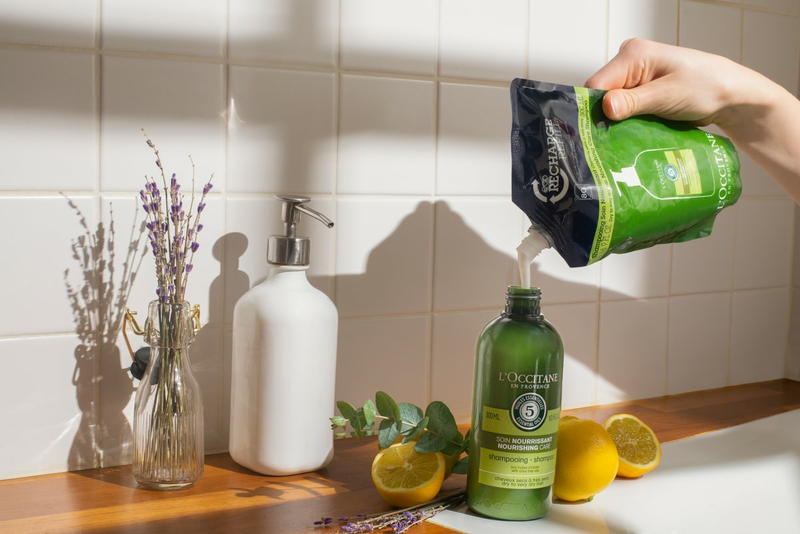 Currently, 30% of our products are made from recycled plastic, and some of our ranges like Aromachologie are already made with 100% recycled plastic. Our aim is that by 2025, 100% of our bottles will be made from 100% recycled plastic. Did you know Aromachologie is made with 100% recycled plastic? Covering your whole routine - shampoo, conditioner and hair mask…To look and feel good for the planet. Our range of eco-refills use 90% less plastic than regular-sized products. They represent our commitments to recycle more, use less plastic and champion a more eco-friendly lifestyle. 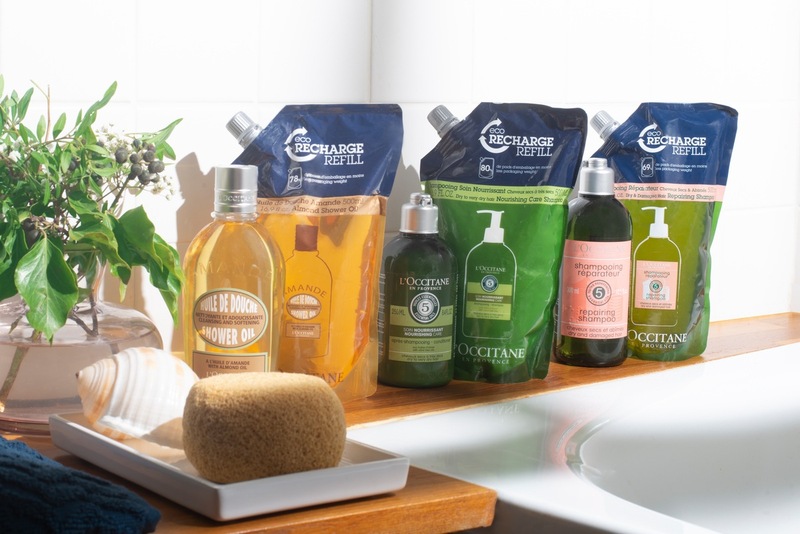 Top up your L’OCCITANE favorites with Eco-Refills.Available in 15 different products, these use significantly less plastic than ordinary sizes. 30% of L’OCCITANE products are made with recycled plastic. By 2025, we want to make it 100%! Find out more about L’OCCITANE’s engagements for recycling, sustainable sourcing, and biodiversity. Together, we can all help protect Earth.